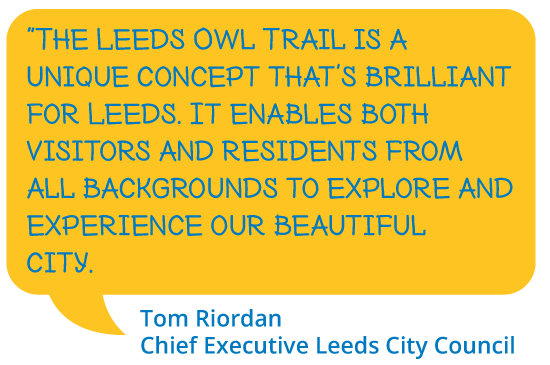 If you visit the twenty five locations across Leeds City Centre marked on the Leeds Owl Trail™ map you will discover some unique owls. Suddenly you will set out on a voyage across history as each owl informs you of why it is there and gives you a brief snapshot of what it has seen in its lifetime. You can download the map on this site or purchase at the Leeds Visitors Centre located underneath Leeds Art Gallery for £1. You’ll have to keep your eyes wide open as some owls are not in the most obvious of places. If you spot any other owls along the way that we have missed then please let us know! Here are the top ten owls just waiting to be discovered by you. Read more about them on the Owl Map page. 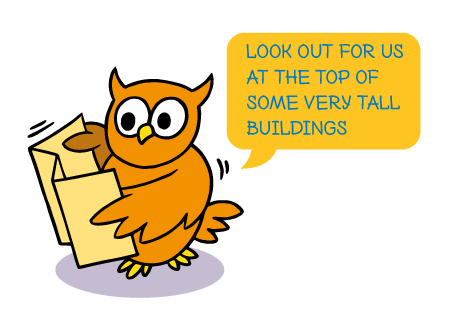 Please contact us if you would like to sponsor the next print run of the Leeds Owl Trail map, or become a Corporate Sponsor.